I was reading an article with tips for bloggers recently. One good tip was, "blog regularly"! Is that what this guilty conscious is all about when I am away from my blog too long?!? I think of at least an article a day I would love to share... then comes the issue of finding time to share it! I think all moms, homeschooling or not, can relate to the pinch in schedule for anything beyond house care, hubby and kids! And so I sit here today to share with you some of my 'game plays' to 'tackle' the issue of time management I am up against. It is through our service to God as newly-entering-the-field missionaries that we gladly make this sacrifice. We find, as God trains our minds for our calling, he is also training our hearts and understanding of even the little things. Keep everything tidy out of respect for someone else's house. 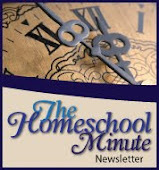 How to homeschool in our new environment without all of our materials easily accessible? Phew.... hold on, I need a breather! All this was easily (mostly anyway) managed when I had my own home and space to make rules for and stretch out in. I feel restricted more often then not now.... but this is where I also see God at work; transforming, humbling, and guiding me to think outside of the box and become a better servant. We don't know what the years ahead will hold in our ministry. Our whole family needs to be pliable and ready for new things, new schedules, and new challenges... with a positive attitude from beginning to end! Praise God, He finds me worthy of this task! So last night I sat down with my new spiral notebook (having filled the old one) and thinking how ironic it was that I needed to begin a new to-do/ta-done journal in conjunction with my need to articulate a cohesive schedule for our new environment. I love college ruled notebook paper... I am an addict! There is just something about spilling my thoughts out with a black fine point Pentel RSVP pen on crisp white paper with soft blue lines and just seeing my life at least look like it has order! I still need to take these scribbles and make a nice, neat copy with a few more details. But it feels sooooooooooo good to have the bones set out... finally after being here over a month now! There is a glimpse of order coming out of the chaos! Well, to keep with yet another good blog tip, I will keep this relatively short and wrap it up here! More another time on ordering my eating habits as well and how I hope it will help my children and their focus in homeschool... and beyond! Thank you. I'm currently living in my mil's house and feeling many of the same 'pinches' you've described. 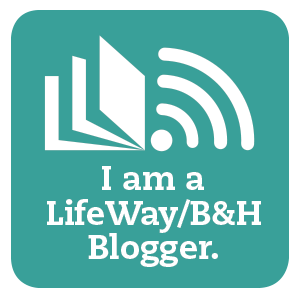 Even though you've moved on to your next stop on the journey (See the bottom line of your photo), your blog post is a blessing. Always comforting to know others have walked in similar shoes. jet mama, I am blessed to know this article could help you in your own journey. I grew ALOT last spring, learning how to be 'pliable' as this article suggested... it wasn't always easy... but I am thankful for the growth that came out of it. Hold on, you too will be blessed where you are!